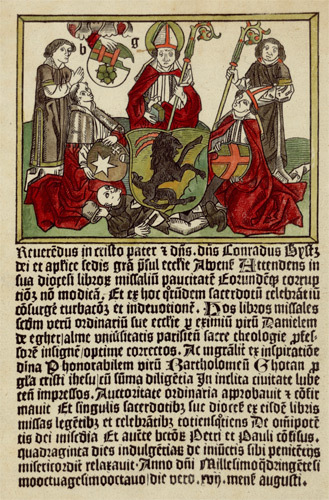 The first book especially dedicated for use in Finland, a Latin Dominican missale, Missale Aboense, is printed in Lübeck. 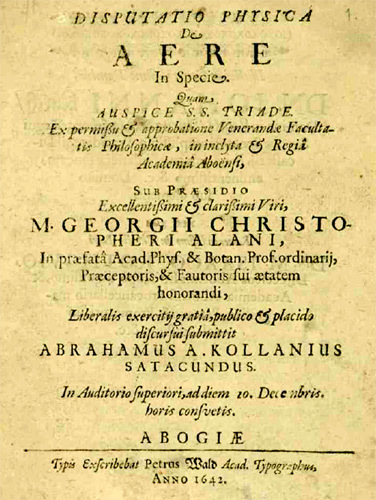 Academia Aboensis or Turku University is established. 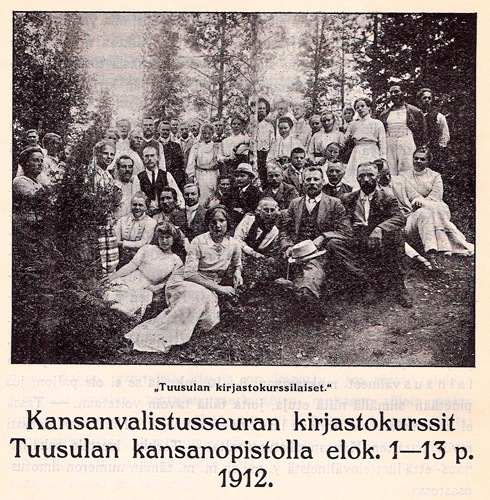 First reading society, Bok-societet, in southern Ostrobothnia. 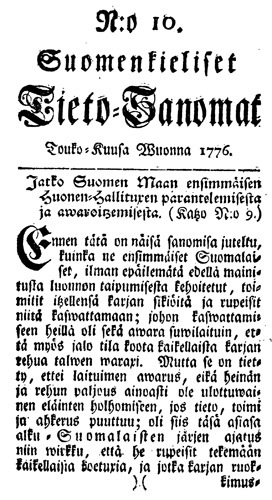 The first Finnish-language newspaper, Suomenkieliset Tieto-Sanomat (News in Finnish), is published in Turku. 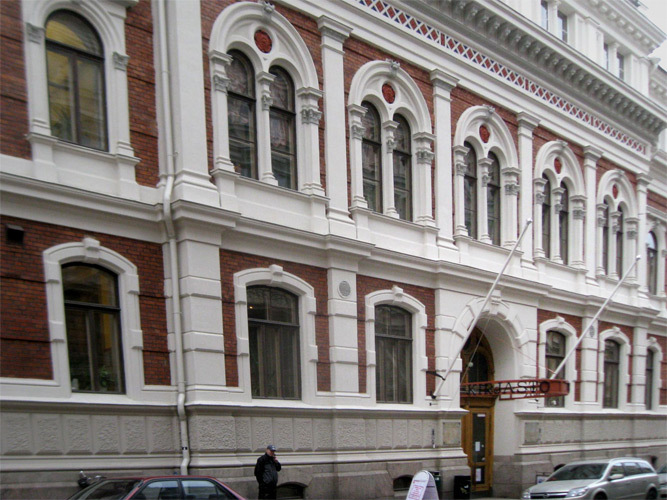 A commercial lending library is opened in Turku. 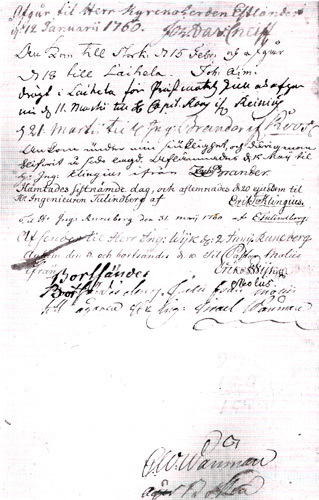 Sweden is forced to cede Finland to Russia; Finland becomes a Grand Duchy in the Russian Empire, but retains its Swedish legislation and administrative structures. Carl Axel Gottlund invents the modern Finnish word for library, kirjasto. 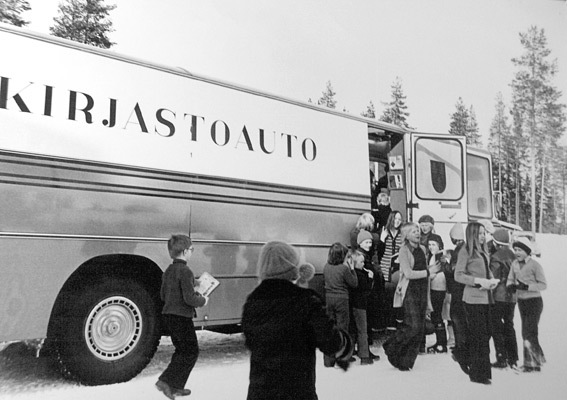 20 libraries for the common people are founded in Finland. A recommendation to establish libraries in primary schools is included in the Decree on Primary Schools. 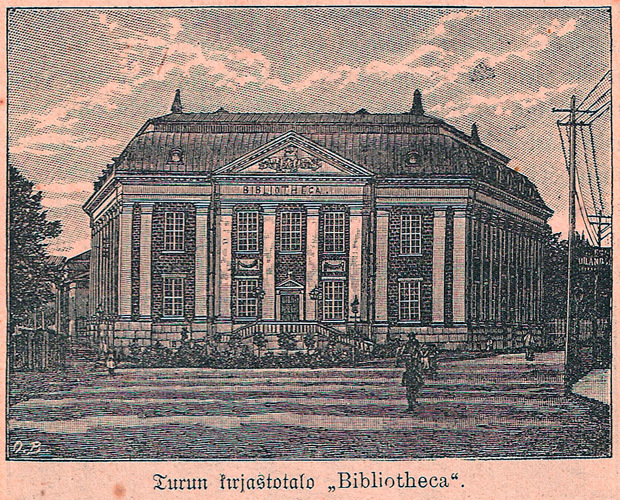 The first building for a public library is erected for the Helsinki City Library with funds from the liquor taxation. 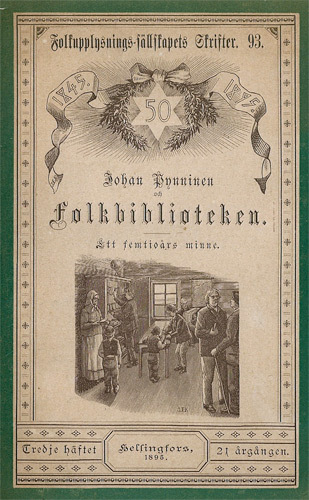 The association Svenska folkskolans vänner (Friends of the Swedish primary school) is created to promote popular education and libraries for the Swedish-speaking common people in Finland. The total number of libraries exceeds 1000. 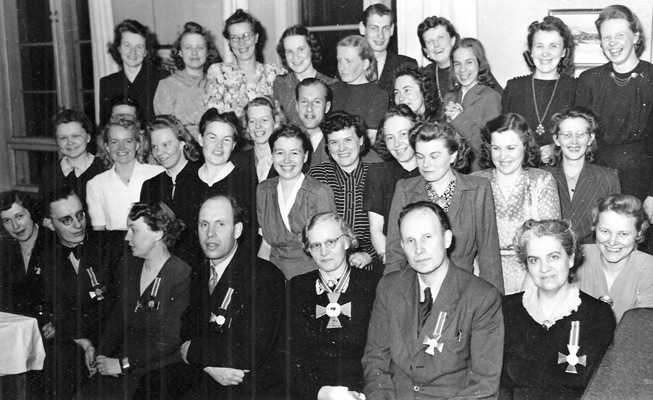 Finnish Library Association is founded. 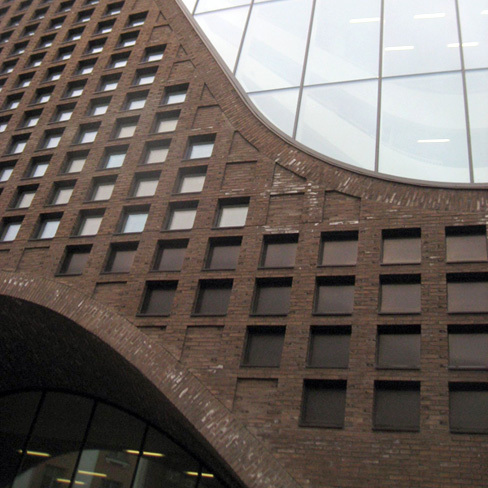 The city library in Turku is reorganized as the first public library in Finland according to the modern principles (e.g. open shelves). The first professional course for librarians (two weeks). Number of libraries rises above 2600. The Law on Popular Libraries is passed in Parliament. The Finnish Association for Documentation (today The Society for Information Specialists) is established. Report of the State Committee on Public Libraries is published, but it takes more than ten years before its recommendations are put in practice. The 31st IFLA Conference in Helsinki. The chair in Library and Information Science is established at the University of Tampere. The National Repository Library is founded in Kuopio. It receives books and other publications from all types of libraries. 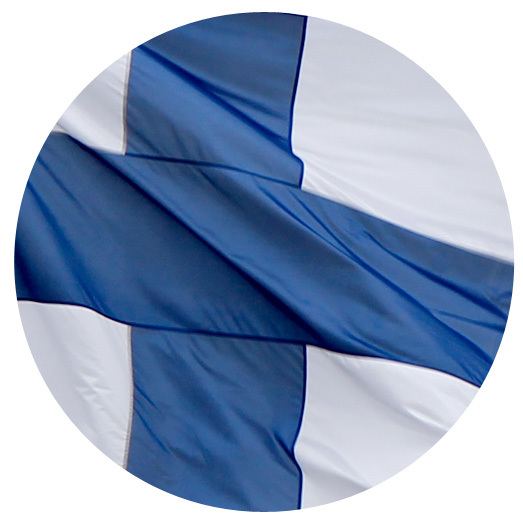 The joint database LINDA for Finnish university and college libraries comes into operation. The purchasing of e-resources is concentrated in the Finnish National Electronic Library consortium (FinELib). Public lending right compensation system based on circulation is established. 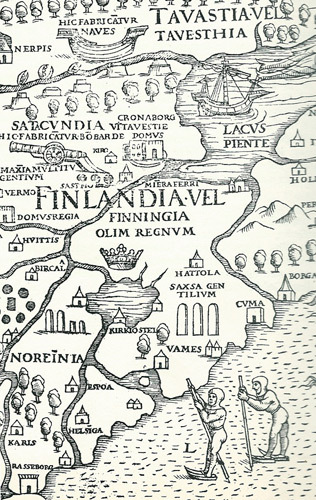 In the 12th century Finns are attached to the Catholic Church and integrated under the Swedish throne. 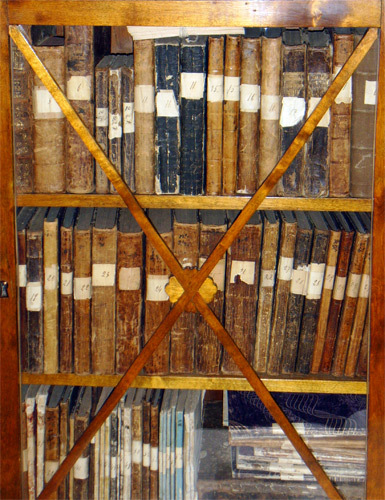 During the Middle Ages there are a number of monasteries and convents in Finland with libraries and manuscript production. 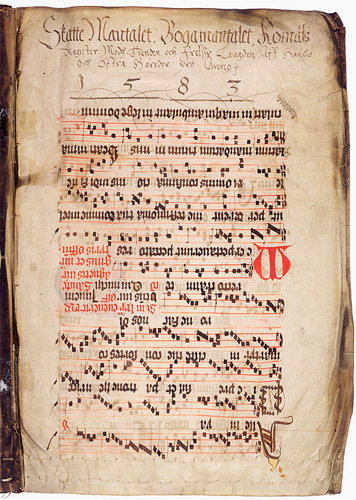 Only fragments of the medieval books have been preserved. 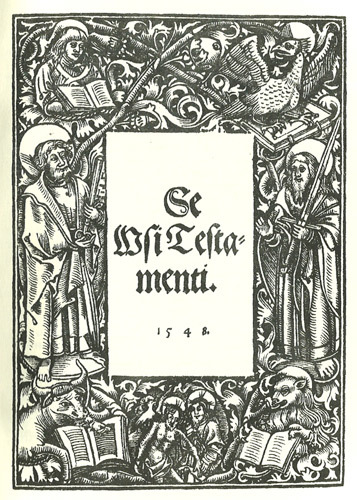 After the Lutheran Reformation, in one of the first books printed in Finnish, a translation of the Gospels, Se Wsi Testamenti, Mikael Agricola uses for the first time a Finnish-language word denoting the library, kiriacammio (book chamber). This word is in use until the beginning of the 19th century. Church Law stipulates that each man and woman must know how to read before they are admitted, e.g. to marry. 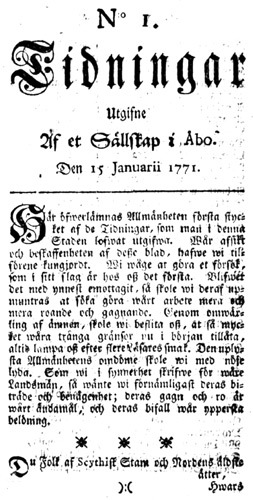 The first Swedish-language newspaper edited in Finland, Tidningar Utgifne Af et Sällskap i Åbo (News Published by a Society in Turku), begins to appear in Turku. Läse Bibliotheket i Wasa, the first subscription library is established in Vaasa. The first library for common people grows as a side activity of the Regina elementary school in Anjala parish in southeastern Finland. The city of Turku burns. The university and its library are destroyed. After the fire the university is moved to Helsinki, the new capital of Finland. 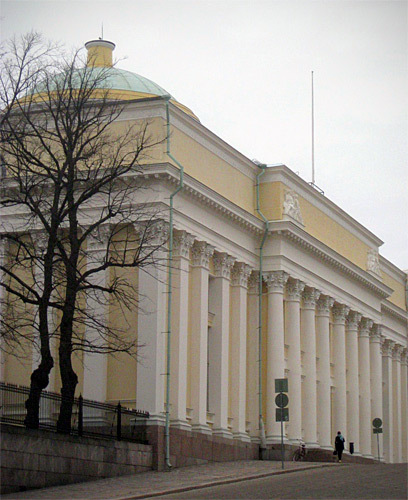 During the 19th century the university library is restored and becomes the de facto national library of Finland. 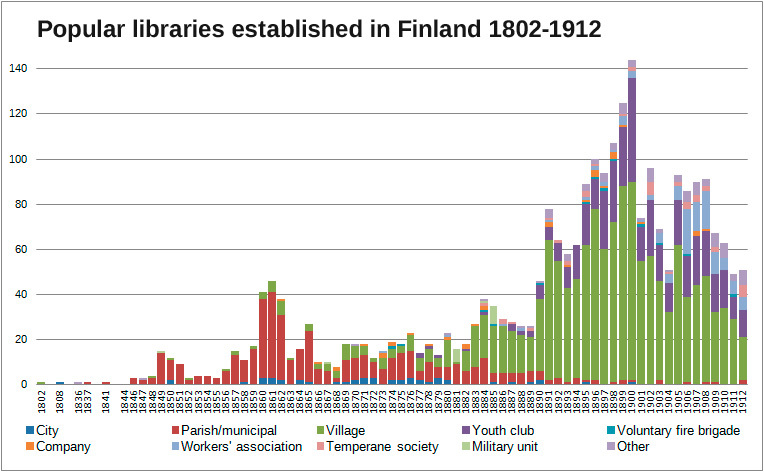 Archbishop Edvard Bergenheim starts a campaign to establish libraries supported by Finnish nationalist young clergy and other educated people; by the early 1860’s the number of popular libraries exceeds 100. 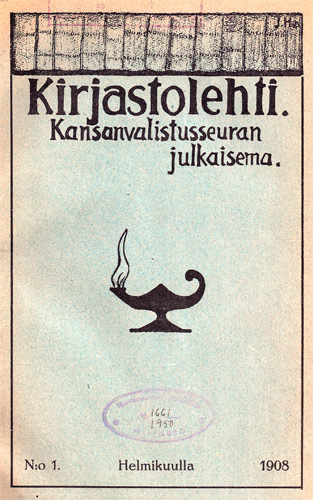 Kansanvalistusseura (Society for Popular Enlightenment) is founded to publish good literature at low price for the common people and to support popular libraries. Social movements (rural youth clubs, temperance movement, workers’ associations) establish hundreds of libraries. Kirjastolehti (Library journal) starts to appear. State Library Bureau is established; first direct state subsidies for public libraries are distributed. 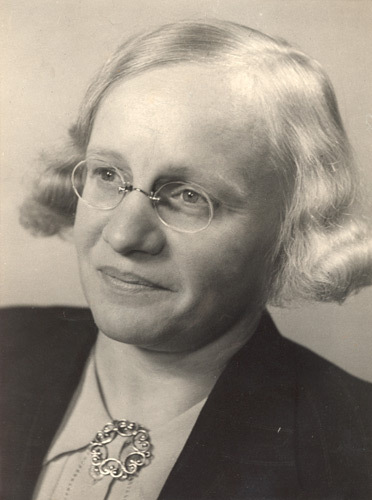 The Finnish Research Library Association is established. Regular diploma courses to educate professional librarians start in Yhteiskunnallinen korkeakoulu (College for Social Sciences). Beginning of the 1960s the number of libraries exceeds 4000. The new Law on Public Libraries is passed in Parliament; a radical increase in state subsidies for public municipal libraries. Lending right compensation grant system is organized. 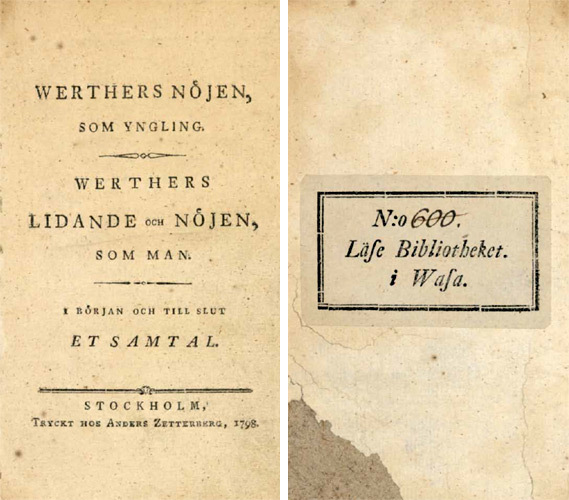 The Swedish Library Association of Ostrobothnia and the Swedish Library Association of Southern Finland joined forces to form Fin­land’s Swedish Library Association. End of the earmarked state subsidies for municipal libraries. The responsibility to maintain and develop public libraries rests on the municipalities. 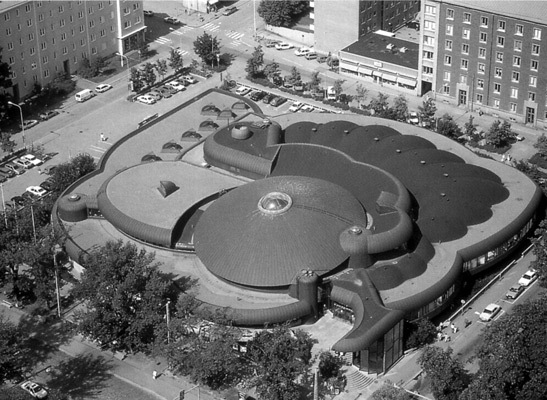 Public libraries begin on a large scale to adopt computerized systems and connect to the Internet. The yearly circulation of books, CDs and other media in public libraries exceeds 20 items per inhabitant; the Finnish portal for public libraries, Kirjastot.fi (Libraries.fi), is opened. New Library Act acknowledges the advent of the electronic and network services. The 78th IFLA Conference in Helsinki.